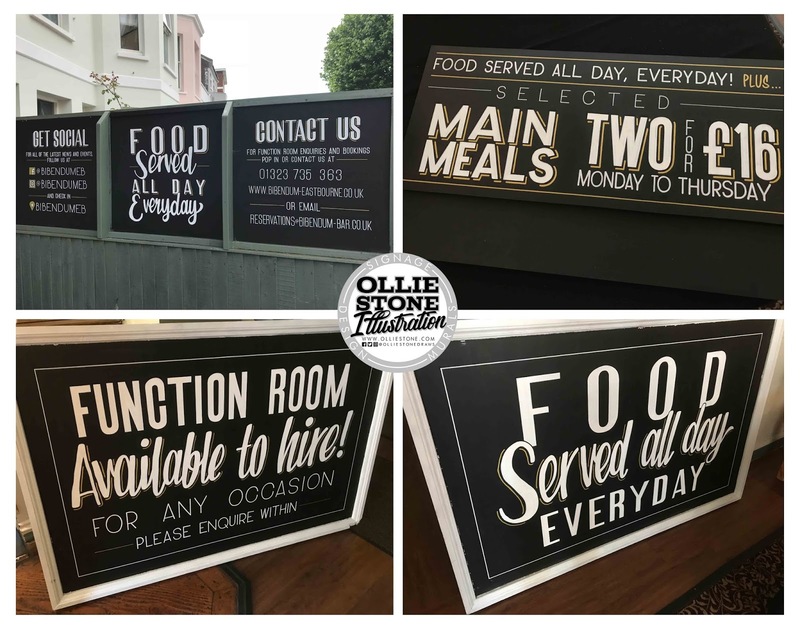 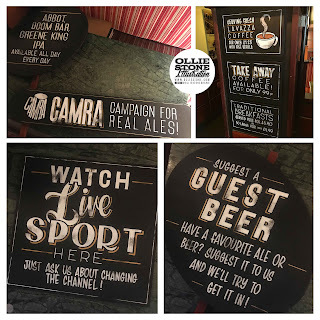 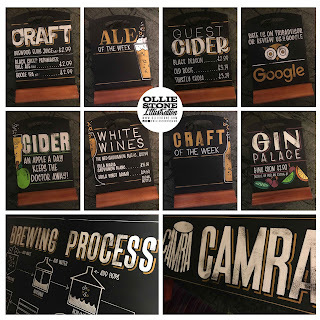 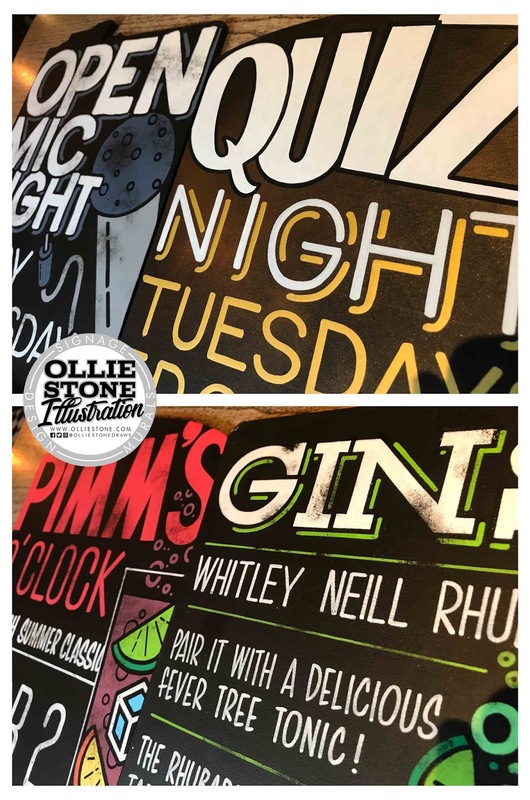 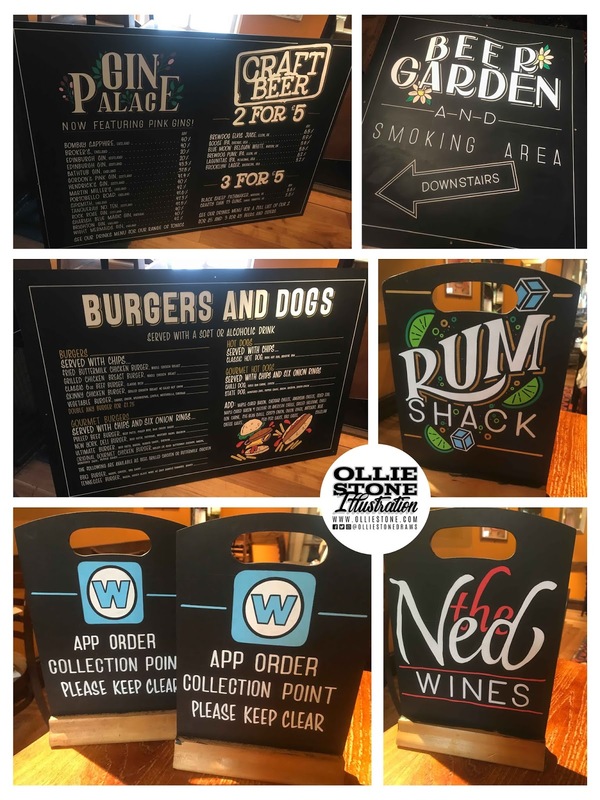 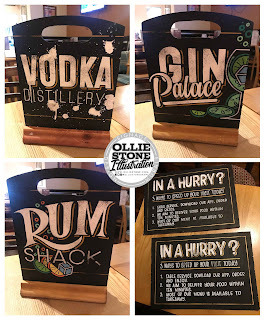 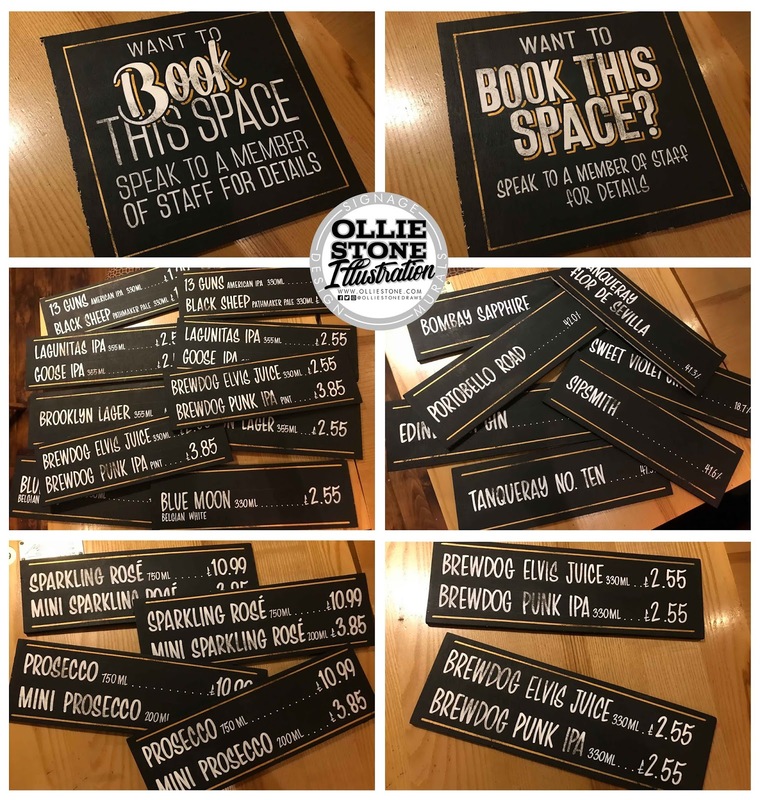 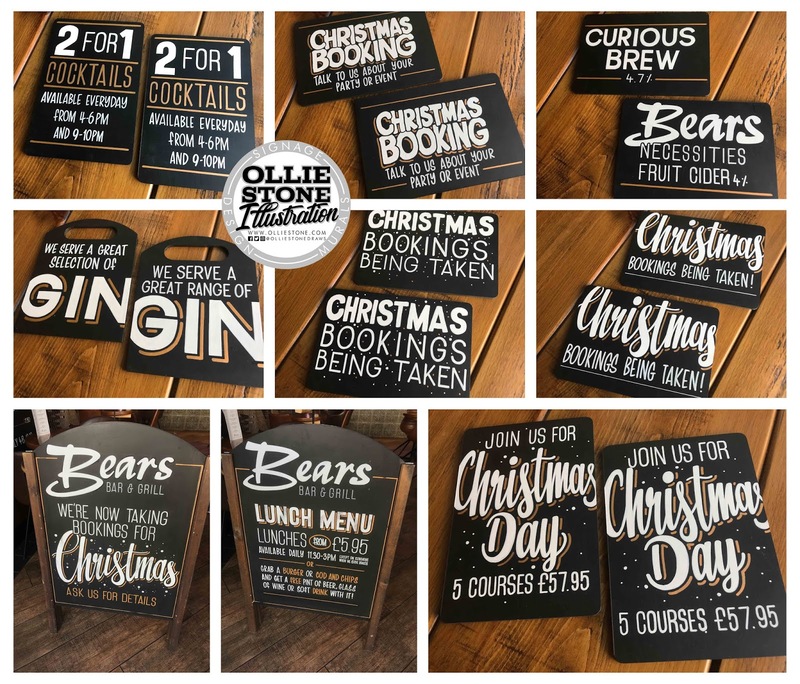 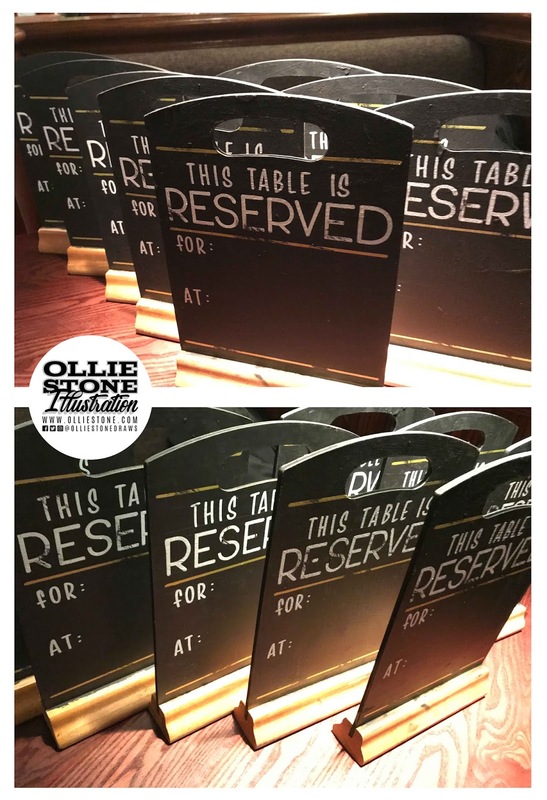 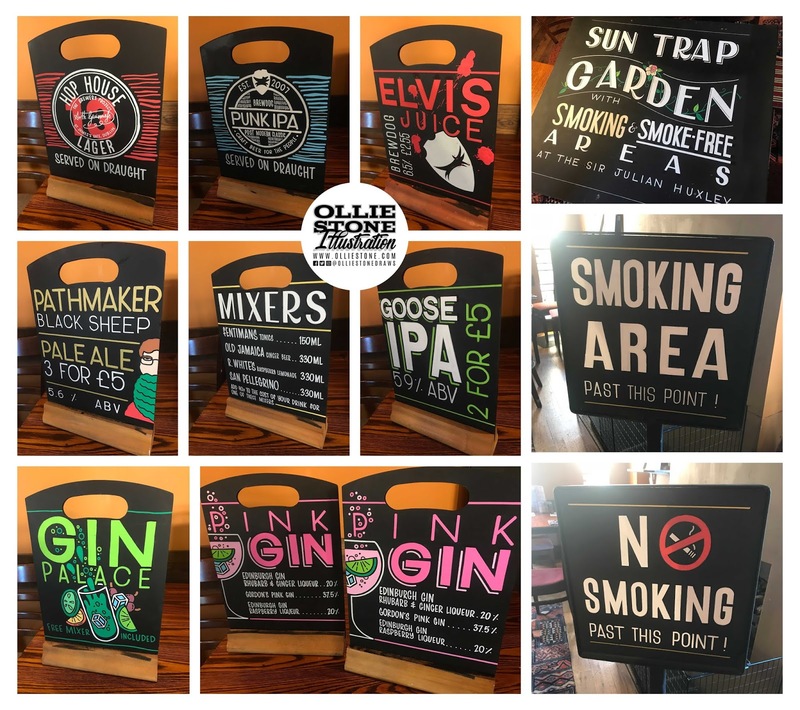 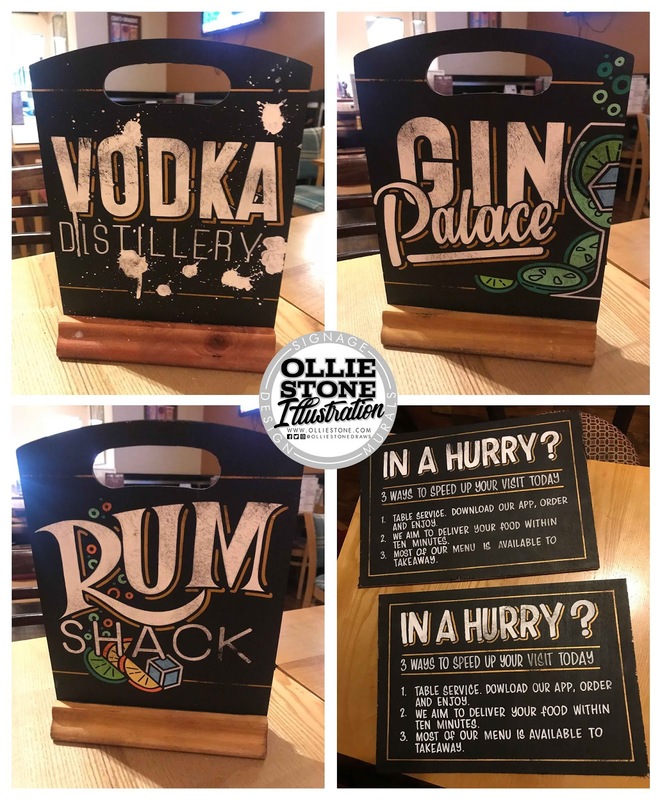 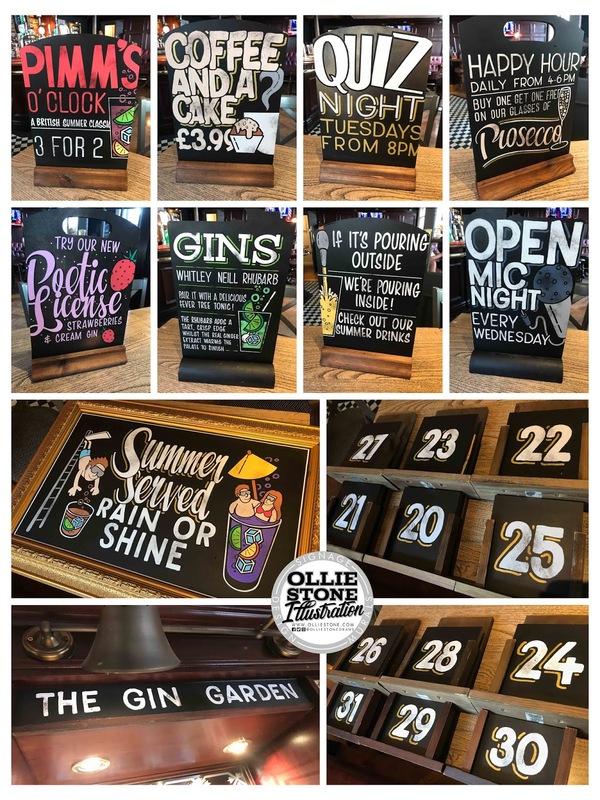 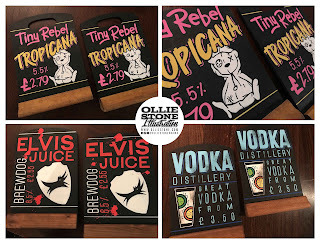 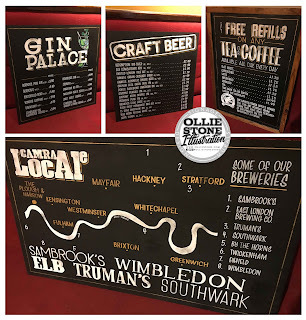 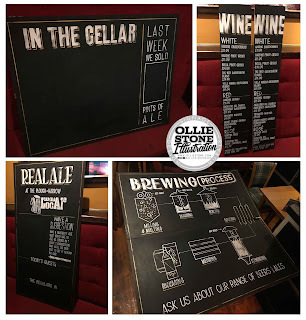 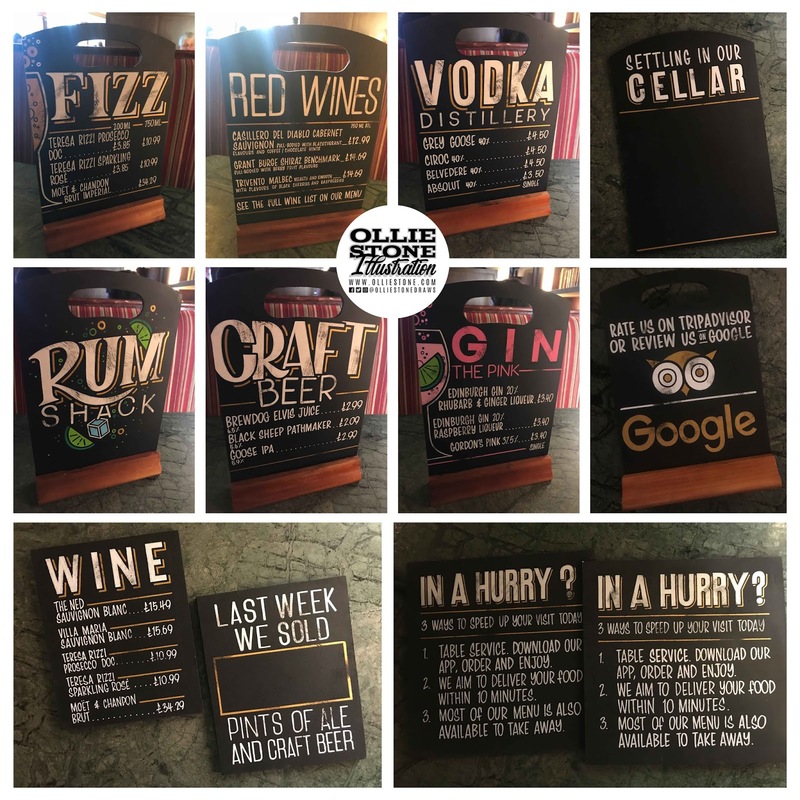 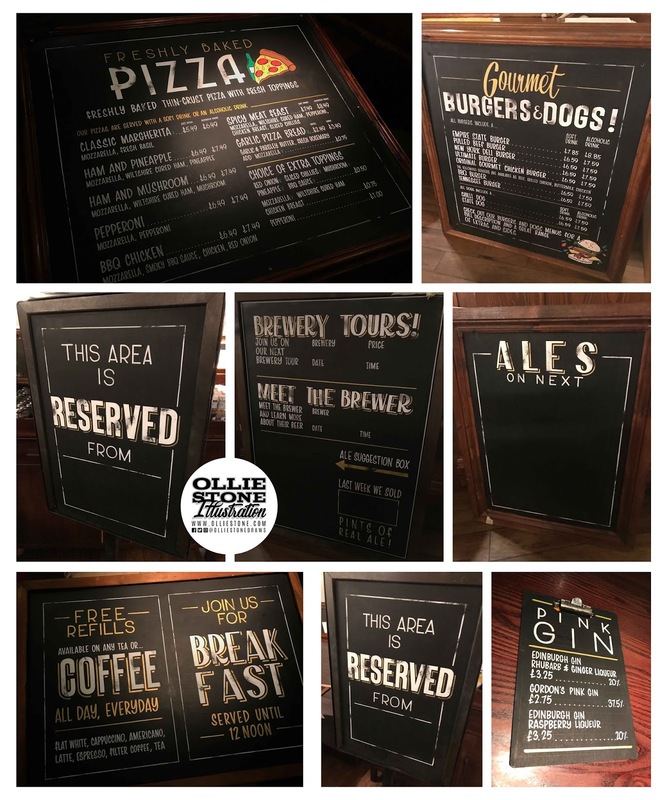 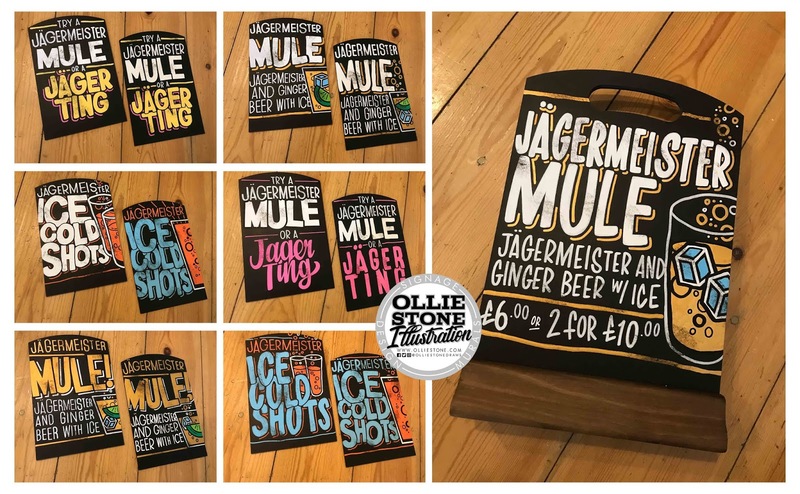 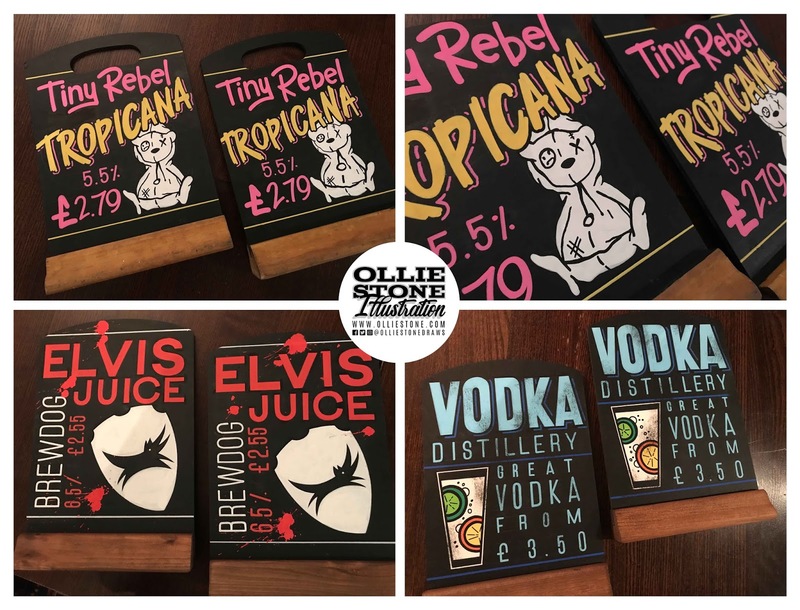 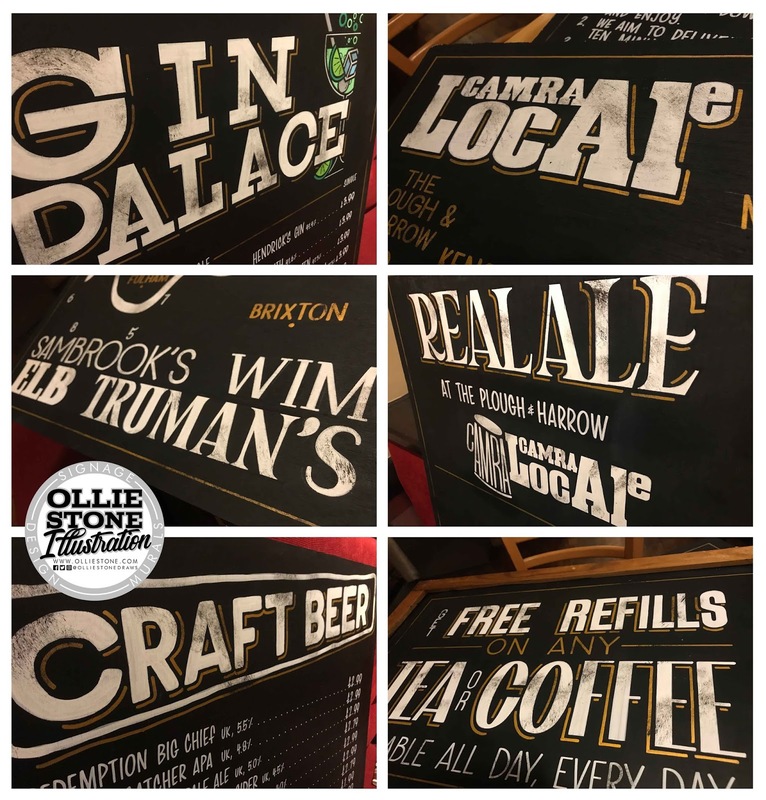 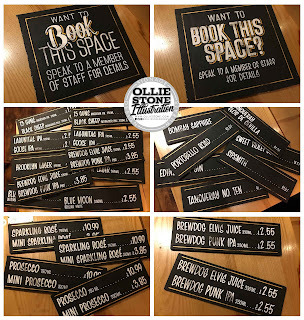 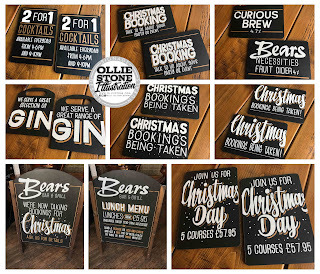 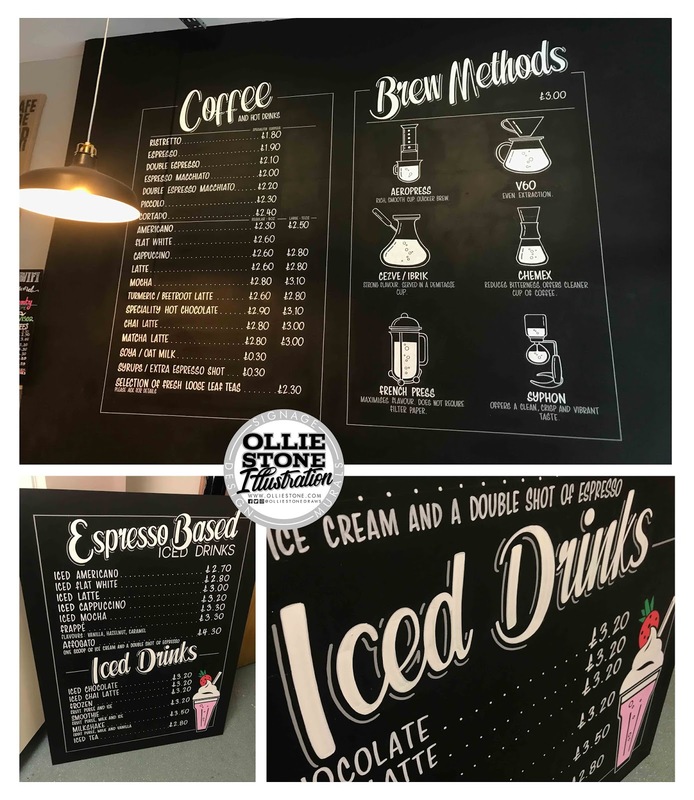 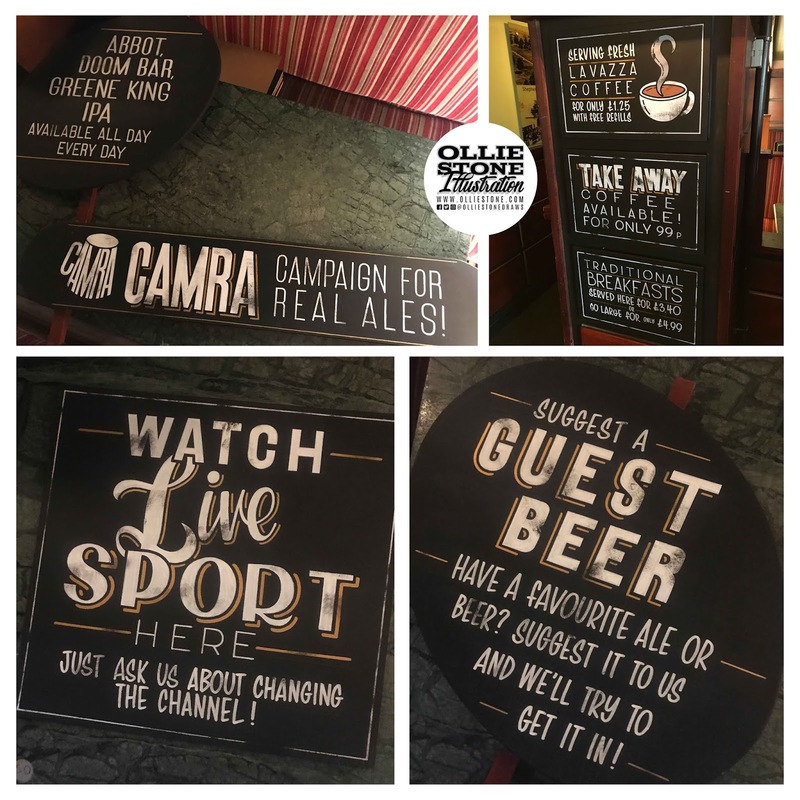 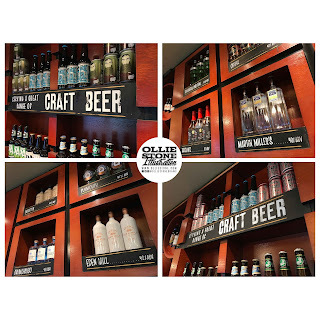 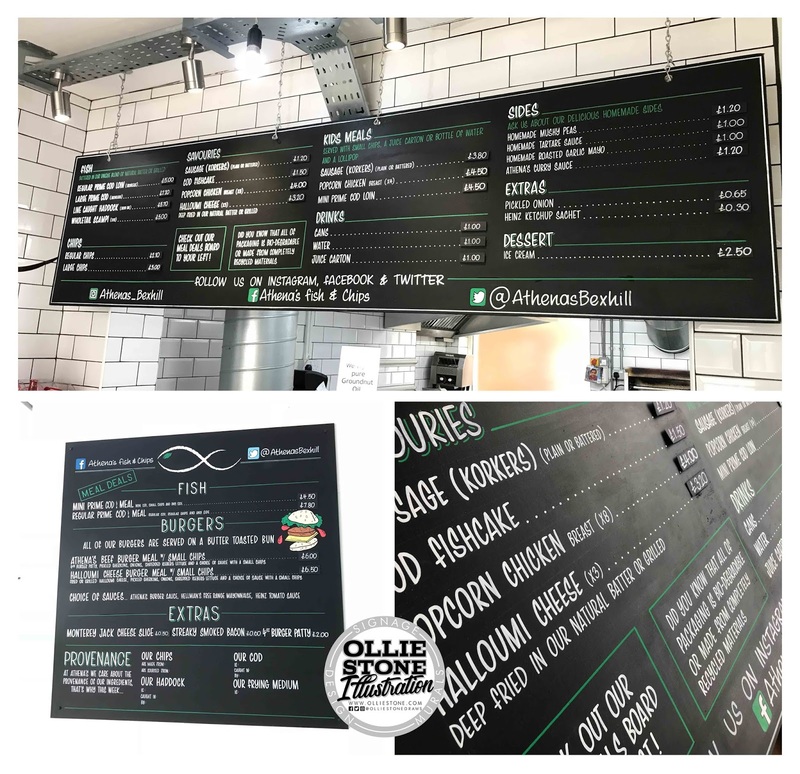 Pub, restaurant, café and wedding chalkboards! 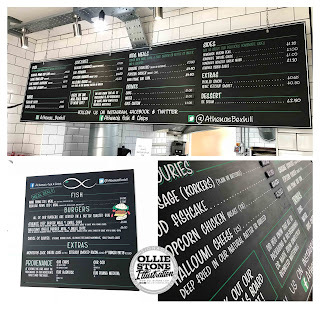 Menu chalkboards for Athena's, Bexhill. 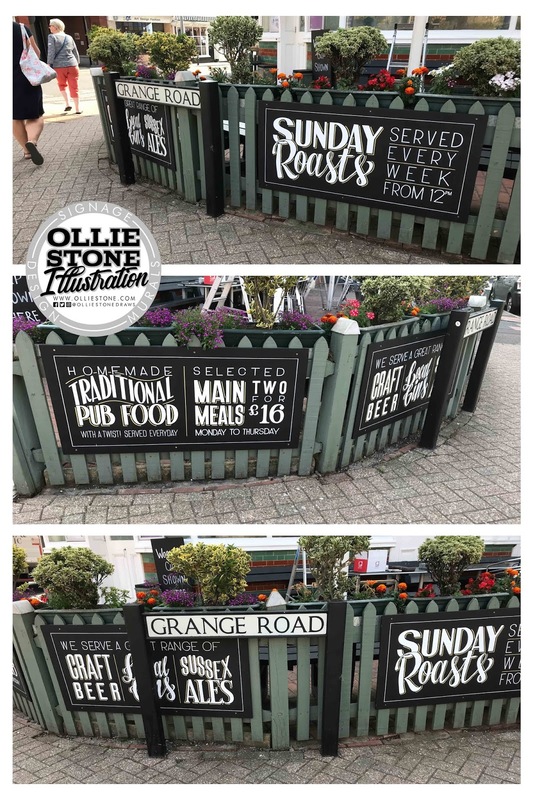 Large outdoor signage for Bibendum, Eastbourne. 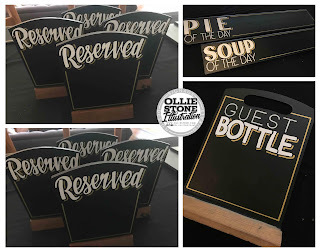 Indoor signage for Bibendum, Eastbourne. 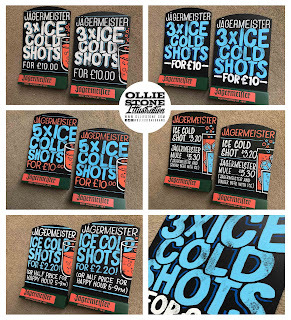 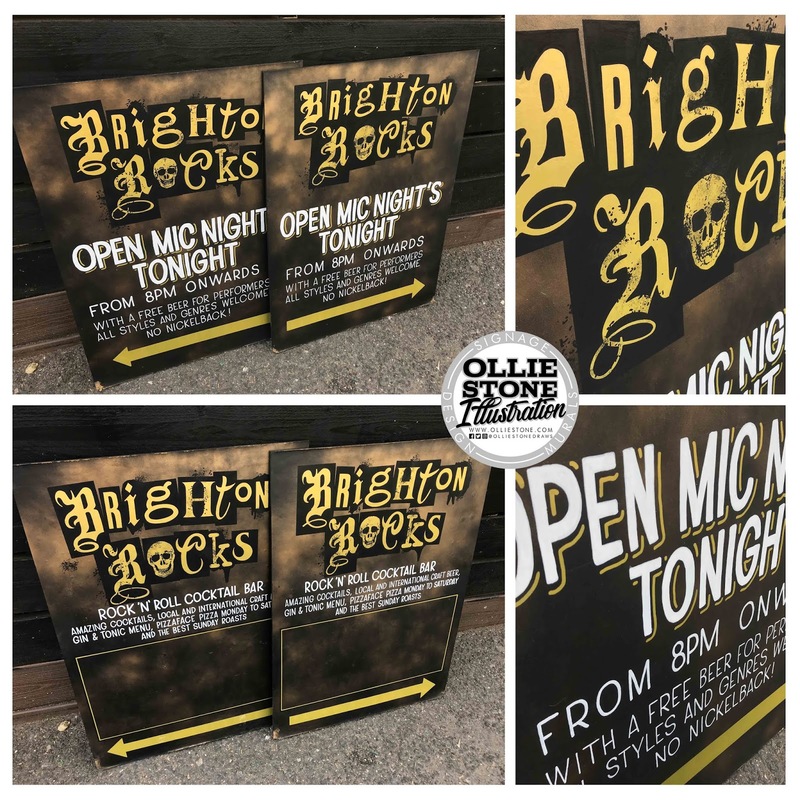 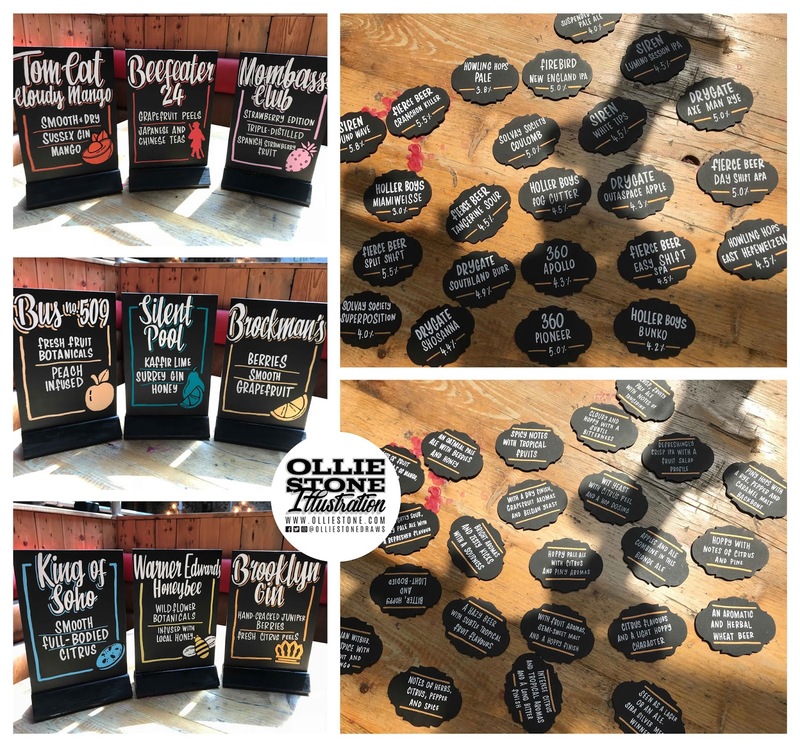 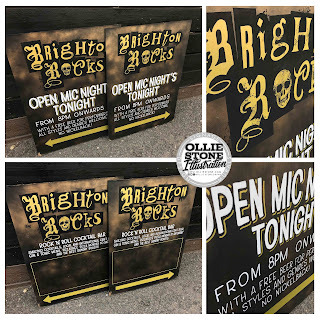 A-board inserts for Brighton Rocks, Brighton. 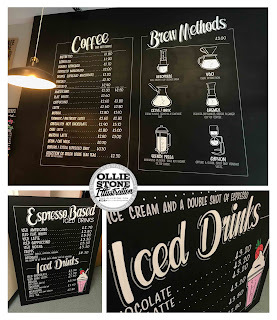 Menu chalkboards for Carafe Coffee, Lewes. 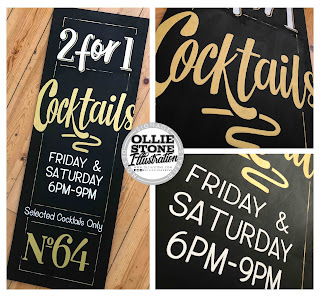 Outdoor chalkboard for No. 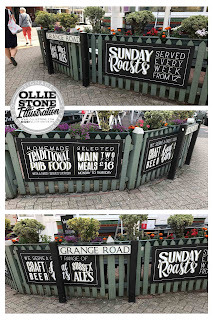 64, Isle of Wight. 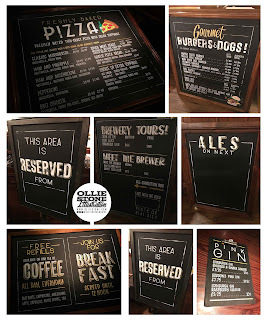 Chalkboards for the Seven Stars, Brighton. 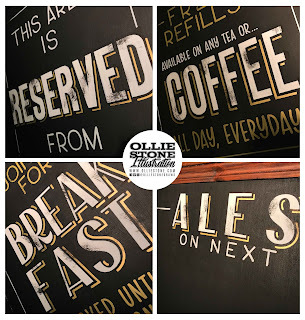 Chalkboards for The Sussex Arms, Brighton. 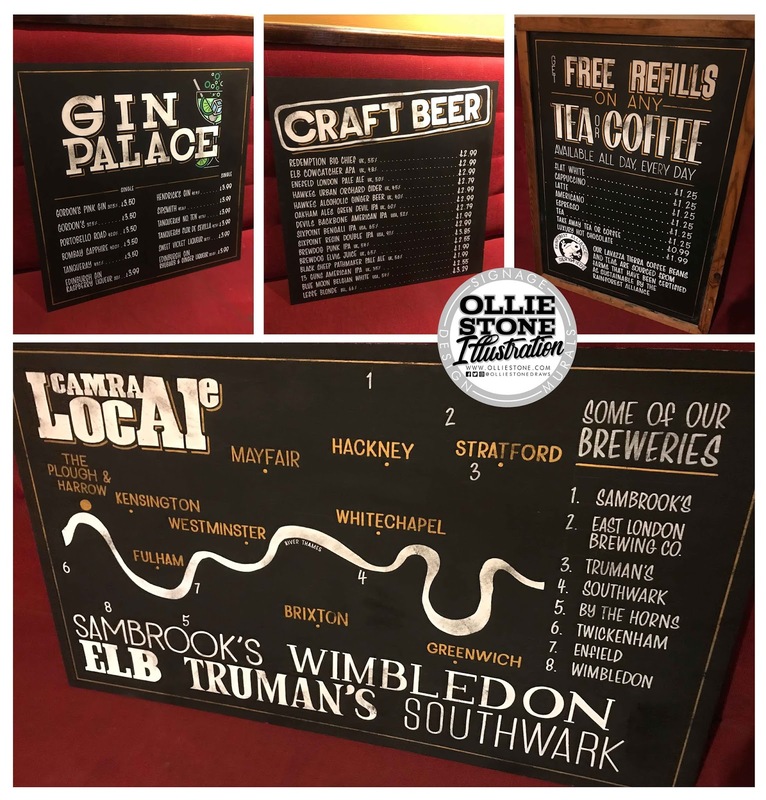 London chalkboard artist for hire. 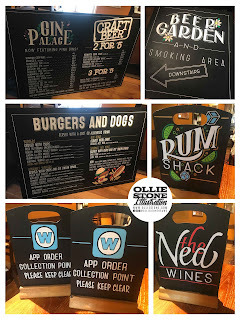 It was a super start to the year with an increased number of jobs taking me up to London, and working with some great pub and restaurant chains. 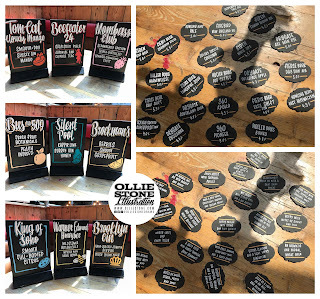 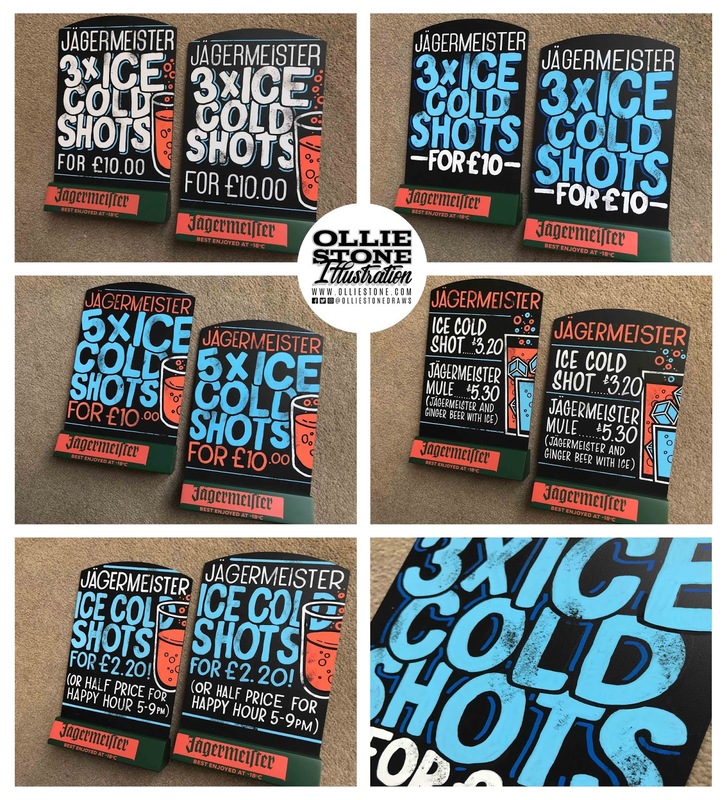 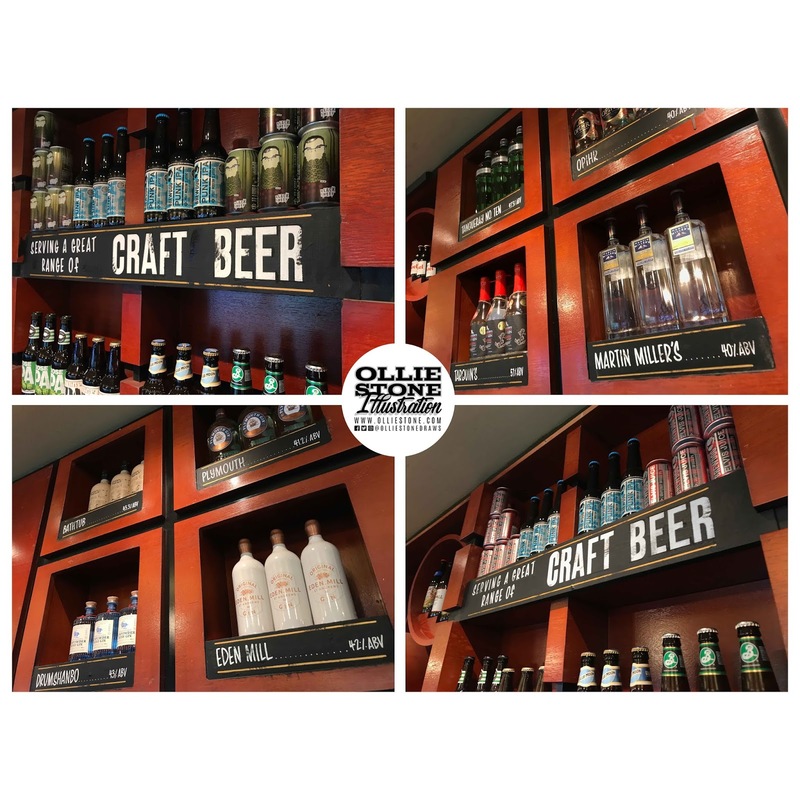 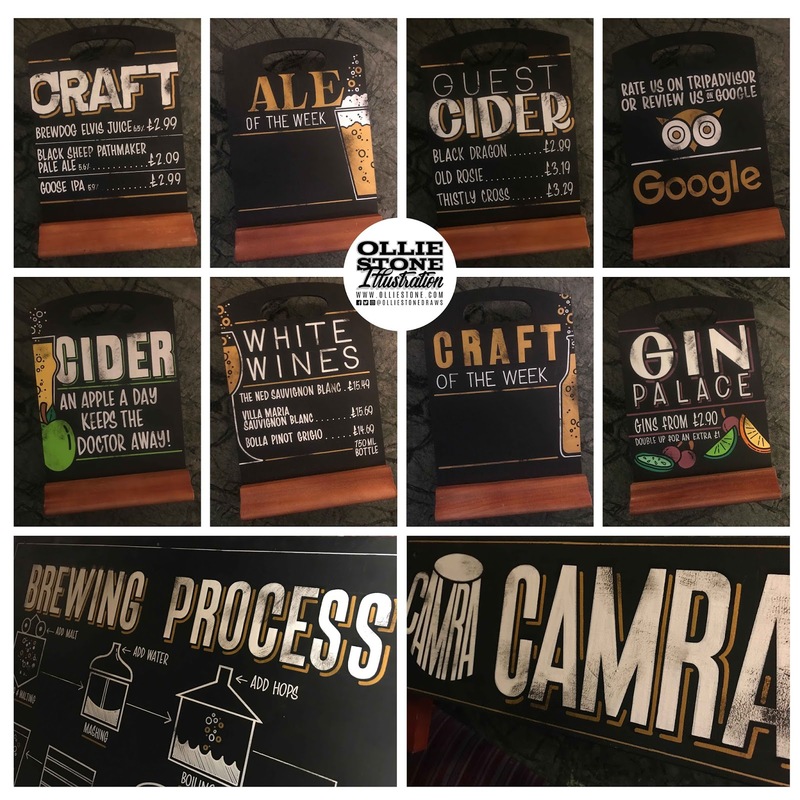 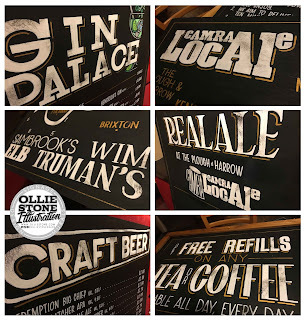 The image collages below are from four JD Wetherspoon sites visited in early 2018. 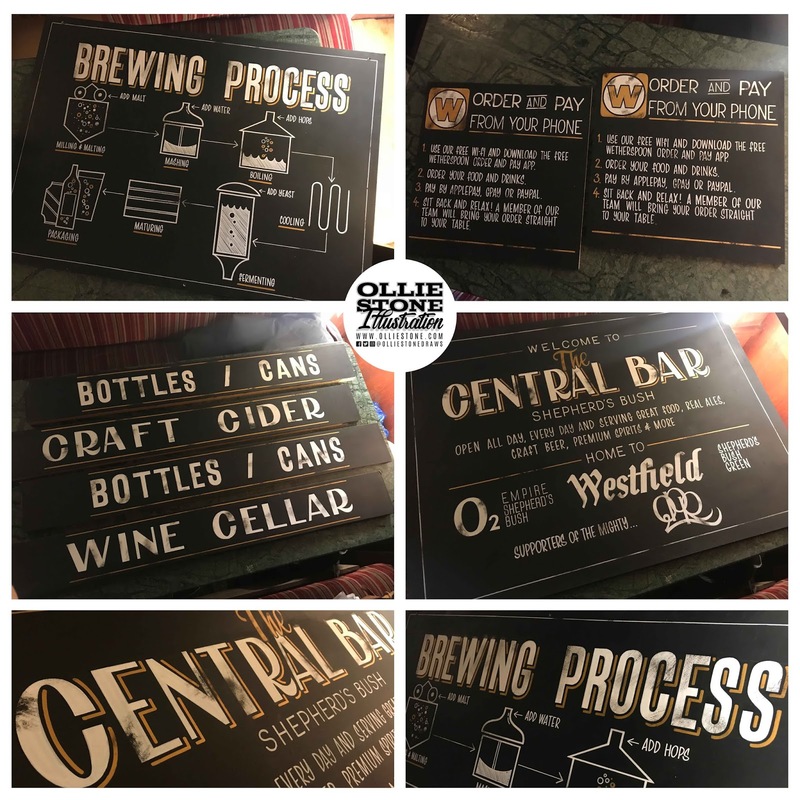 Signage for JD Wetherspoon's The Central Bar, Shepherd's Bush. 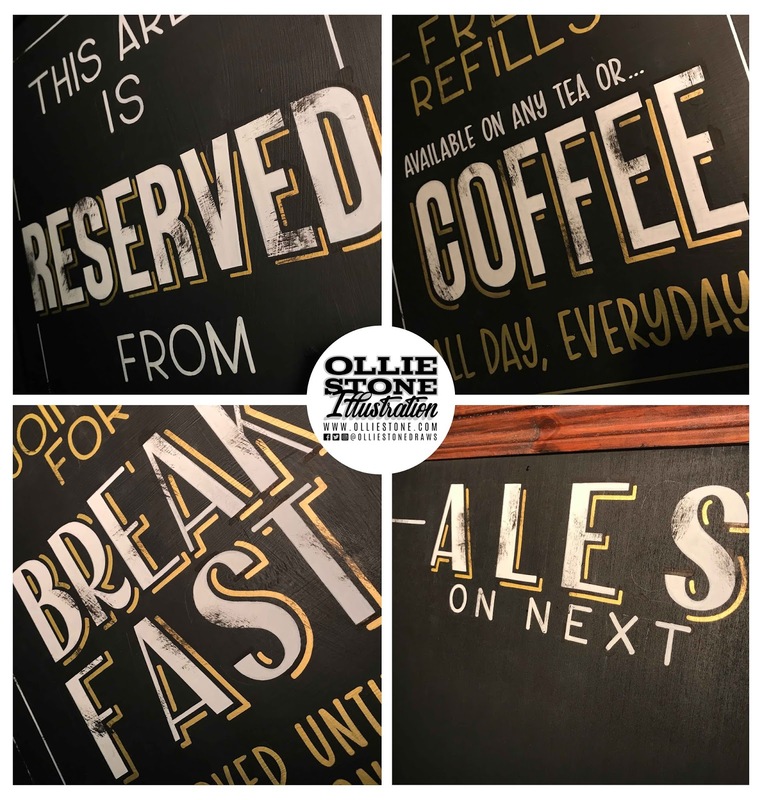 Signage for JD Wetherspoon's The Edward Rayne, Raynes Park. 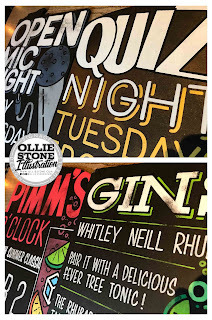 Signage for JD Wetherspoon's The King's Tun, Kingston. 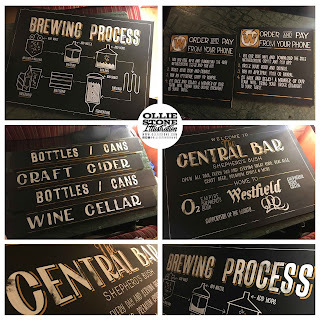 Signage for JD Wetherspoon's The Sir Julian Huxley, Selsdon.